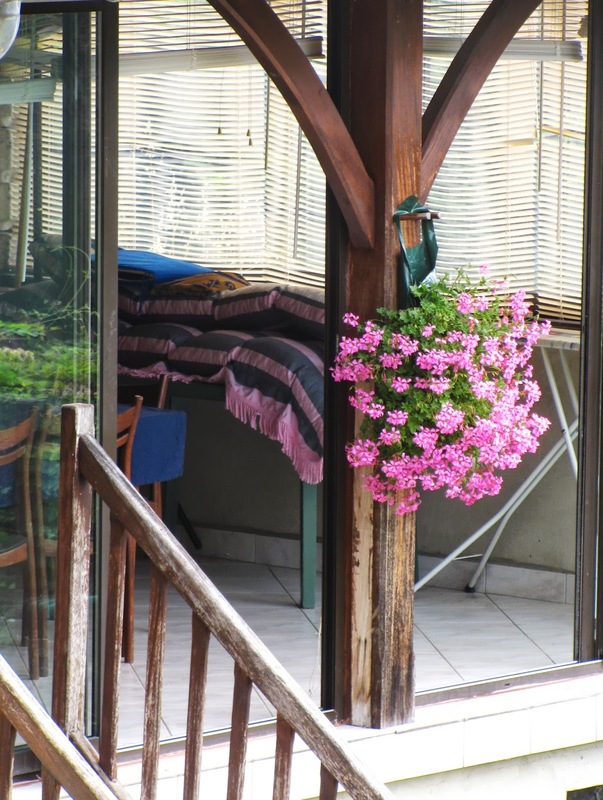 I'm sure garden centers in the States must have something similar to these green plastic sacks filled with tumbling flowers, but I don't remember ever seeing them. 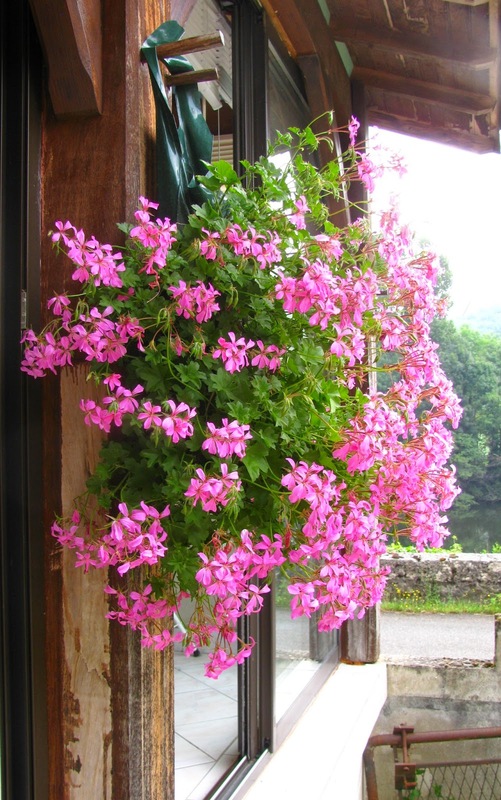 They are absolutely perfect for hanging against a wall or beam as you see here where a hanging basket would not lie flat. I bought this one at my local pepiniere for around $15. 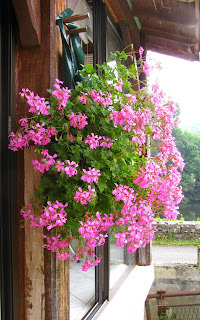 Since my sun porch gets very strong afternoon sun, the simple hot pink geranium works well. 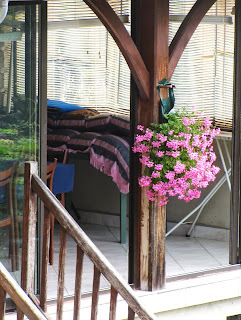 Geraniums are very popular here in France, but I've also seen les sacs planted with tumbling petunias...just the right flower for a cooler, less sunny spot.